Torture makes an appearance about halfway though, in a critical couple of scenes. The first is part of an important reveal to the viewer. The characters Humperdinck and Rugen make the transition from arrogant and creepy antagonists, to fully fledged evil bastards. RUGEN (to Westley): I'm sure you've discovered my deep and abiding interest in pain. At present I'm writing the definitive work on the subject. So I want you to be totally honest with me on how The Machine makes you feel. 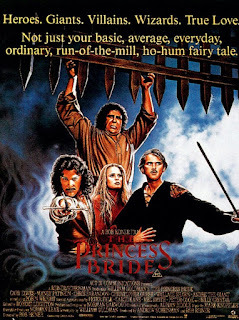 In the second scene, Humperdinck is enraged at Buttercup's continuing refusal to marry him. He rushes into the Pit of Despair and kills Westley by using the torture machine on its maximum setting. He doesn't simply murder the object of Buttercup's affections; he does so in the most sadistic fashion possible. Even Rugen and the albino jailer look sickened, but Humperdinck watches in glee as Westley suffers and dies. In both cases, torture is portrayed as evil. It's used to signal villains are the very worst of the worst. When Humperdinck and Rugen meet their respective fates, we aren't just satisfied that they had it coming; we cheer and celebrate as they get their comeuppance. INIGO: Fezzik, jog his memory. FEZZIK (upset): I'm sorry, Inigo. I didn't mean to jog him so hard. They are only saved by an event which is either blind luck, or the intervention of Inigo's father from beyond the grave. Either way, torture doesn't help them. 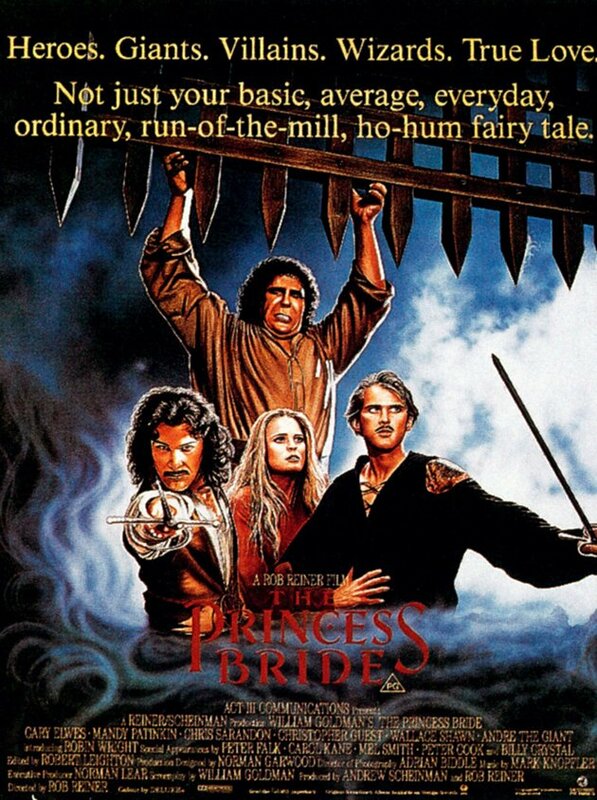 In the world of The Princess Bride, torture is at best stupid and at worst unspeakably evil. It's not heroic in any way, shape or form. 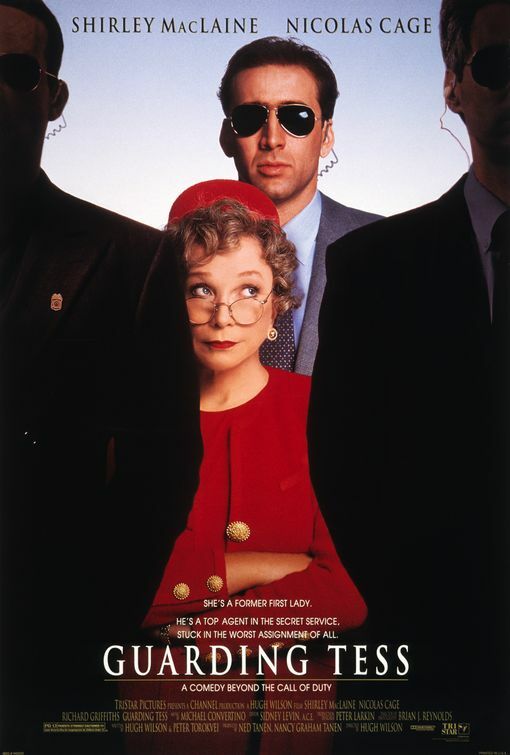 The second example is Guarding Tess (1994). It's much less well-known, a competently made but largely forgettable comedy. 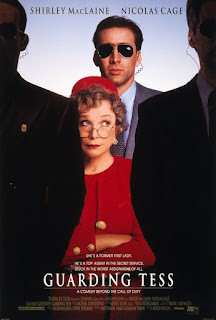 It stars Shirley MacLaine as Tess, the widowed former First Lady of the USA; and Nicolas Cage as Doug, the Secret Service agent tasked with protecting her. Petty conflicts develop between their spiky and strong-willed characters, and amusing scenes ensue. In the final act, the filmmakers decide to raise the stakes, and Tess is kidnapped. Doug is desperate to find her. Behind his professional detachment, he has come to care deeply for his cantankerous charge. We, the audience, are meant to feel Doug is a good guy and sympathise with his distress. Doug faces a dilemma: He has a prisoner who he believes to have information about Tess' location, but the prisoner isn't talking. He shouts and threatens the prisoner with violence. Doug's comrades rightly tell him not to do it, but he ignores them and eventually shoots off one of the prisoner's toes. Is this presented as a bad thing? Does Doug fail to find Tess? Does he face penalties for his use of torture? Is he punished for mutilating a helpless prisoner? Not a bit of it. The bad guy immediately spills his secrets, Tess is saved, and Doug is a hero. I first saw Guarding Tess long after its release. I think it was sometime in 2004 or 2005; the atrocities at Abu Ghraib, and terms like "extraordinary rendition" and "enhanced interrogation", had made their way into our consciousness. Scenes of torture by a US government agent had an impact which the filmmakers could not have anticipated. Guarding Tess was a success. It wasn't a spectacular hit, but it made a tidy profit at the box office. The late, great film critic Roger Ebert gave it a very positive review. Cinema audiences in 1994 were A-OK with torture, even (or perhaps especially) if it was done by a clean-cut American good guy. What changed between 1987 and 1994? The obvious thing is the fall of the Berlin Wall and the end of the Cold War. TYLER: We're the middle children of history, man. No purpose or place. We have no Great War. No Great Depression. Our great war is a spiritual war. Our great depression is our lives. We've all been raised on television to believe that one day we'd all be millionaires, and movie gods, and rock stars, but we won't. And we're slowly learning that fact. And we're very, very pissed off. Let's not read too much into this. I've only considered two data points in detail. I'm sure that's a small part of a more complex picture. Someone with more time and expertise than I have could write a PhD thesis on the portrayal of torture in Hollywood cinema. All the same, Guarding Tess was an early trendsetter. A few years later, the TV series 24 showed Jack Bauer regularly using torture to defeat the bad guys. In the world of 24, torture is remarkably effective at resolving tricky challenges for the hero; it was even satirised in a Simpsons episode. Coming back to Mike's point, in terms of normalising torture it's been well over 20 years since the rot started. Guarding Tess was released seven years before the 9/11 attacks. The first series of 24 aired in November 2001, and was produced before the fall of the Twin Towers. We're faced with the disturbing possibility that American torture wasn't simply a reaction to the 9/11 attacks. The "torture is good" mindset was ready and waiting in popular culture, when an opportunity came for it to break out into the real world.